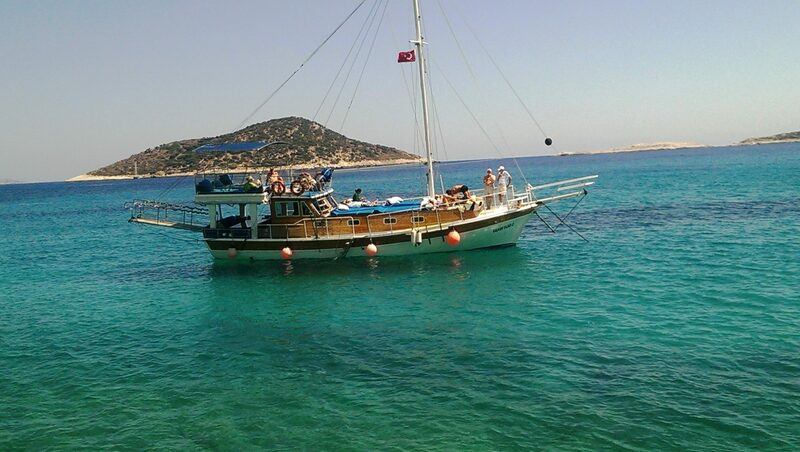 KALKAN YILDIZ-2 Sail vessel accommodating up to 12 guests for public trips. It is ideal for both daytime and evening trips and also has two on-suite cabins for those who would like to stay overnight. But sleeping is better on the deck because the cabins are very hot in summer. 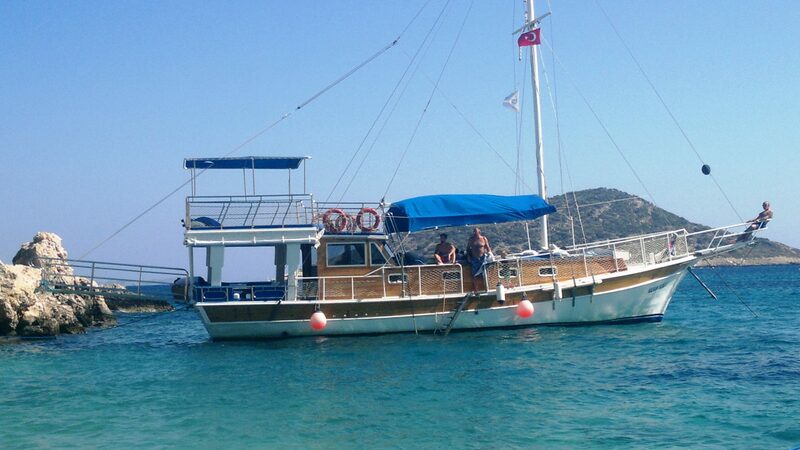 KALKAN YILDIZ-2 has sunbeds on the deck to accommodate up to 12 people, all sunbeds are on the front deck and terrace of the boat. 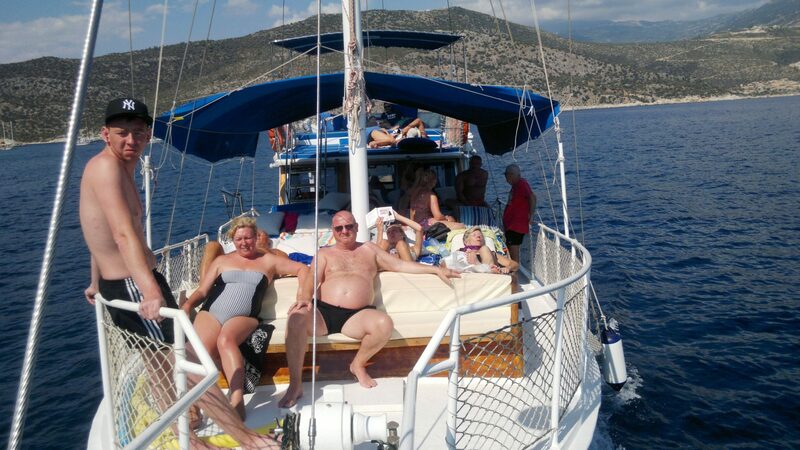 I am working with my wife Zeynep who will be cooking your food freshly at lunchtime,your lunch will be prepared freshly with the fantastic backdrop of the beautiful views in one of the secluded bays around Kalkan. 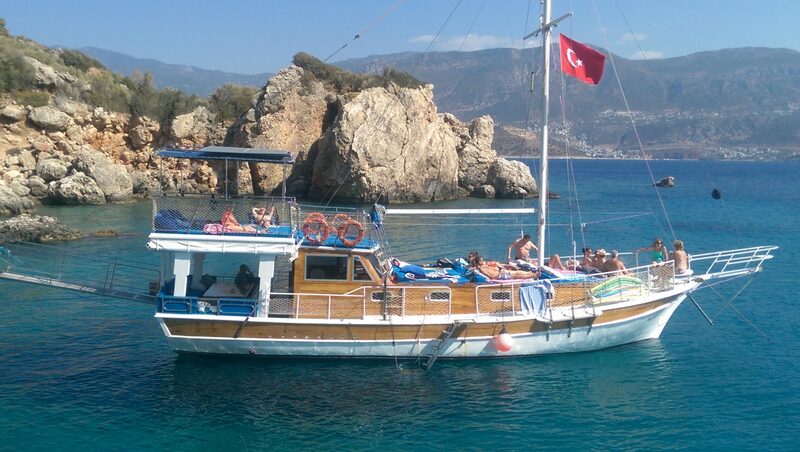 KALKAN YILDIZ -2 is not crowded like a school bus just 12 people for daytime trip and 12 people for BBQ NİGHT trip. 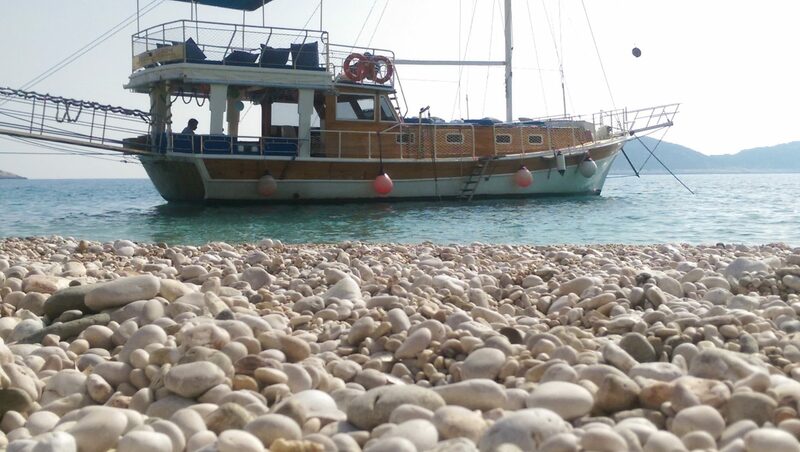 We have a shaded sitting area at the back of the boat with nice comfortable cushions.The sitting area can be covered with the canopy for rainy and windy days.Our boat ladder is of the step style for your comfort and safety. KALKAN YIDIZ -2 The hand rails have nets down to the deck for extra safety especially for children.We have also snorkels, flippers, goggles and flotation aids (worms or spaghetti). 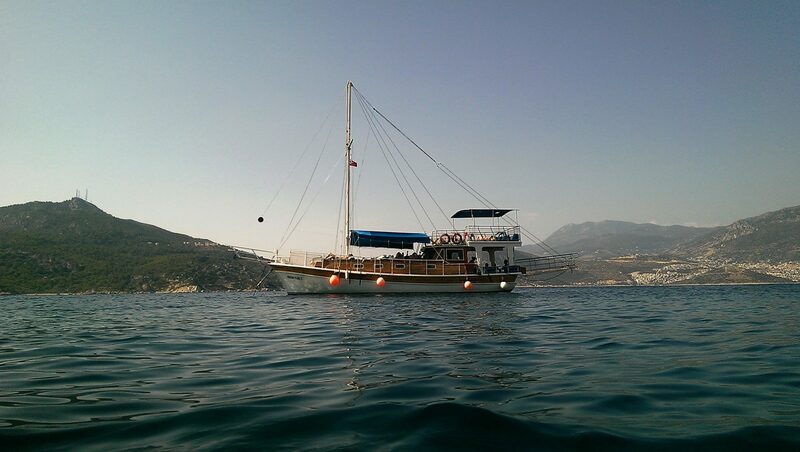 KALKAN YILDIZ-2 Sail vessel accommodating up to just 12 guests for public trips. It is ideal for both daytime and evening trips and also has two on-suite cabins for those who would like to stay overnight.